% Difference is the error in total rainfall or toal ET, a measure of bias. MAE % is the mean of the individual daily unsigned differences, a measure of error variablility. The California Irrigation Management Information System (CIMIS) is a program in the California Department of Water Resources that manages a network of over 130 automated weather stations in the state of California for the computation of reference Evapotranspiration (ET). ET is the loss of water to the atmosphere by the combined processes of evaporation (from soil and plant surfaces) and transpiration (from plant tissues). It is an indicator of how much water your crops, lawn, garden, and trees need for healthy growth and productivity. The standard ASCE Penman-Monteith reference ET calculation uses the parameters air temperature, humitity, wind speed, and solar radiation collected at a properly sited automated weather station. The ideal gage siting would be to centrally locate the station in a large, well-watered turf area that is a considerable distance from objects that might disrupt wind flow or shade the station. The terrain surrounding the weather station should be relatively level if possible. Typical Wunderground site and hard to maintain weather station below. The geographical area selected for comparison are the SUNNY (solar less a factor in regional regressions used by GetRealtime.exe) irrigated Ag districts along the Lower Colorado River in Arizona and California. Also, ET tends to be a concern to those in sunny areas. Although Arizona also maintains an ET network (AZMET), I have not automated the retrieval of data from their system and so only the CIMIS sites are used here to see how far is far. Hourly CIMIS data are made available every 6 hours while AZMET hourlys are only updated daily. If you would like to automate retrieval and computation of your own weather data go to my GetRealtime Help page. Looking at the above photo of a typical Wunderground gage site, one would expect higher temperature and lower humidity would increase calculated reference ET. Windspeed may or may not be higher than the CIMIS 2 meter level. Although Wunderground participants at the selected sites here do not have photos of their gages available, zooming in with Google Earth on the Imperial Airport, Yuma Mesa #2, Wellton-Mohawk, Palo Verde, and Parker Wundergages appear located in open areas adjacent to irrigated areas and should show better comparisons at first glance than those located at residences at Coachella #1 and #2, and Yuma Valley #1. I think we have a better shot at a good outcome than I thought. Let's find out. Wunderground Gage: KIPL, computation time step=hourly, parameters temp, humidity, wind speed, NO SOLAR. CIMIS Gage: 087 Meloland, CA, computation time step=hourly, parameters temp, humidity, wind speed, solar. The CIMIS gage is located 7.6 miles east of the Wuderground gage. The daily graph comparison below includes in the title MAE, mean absolute error, which is the average of each of the unsigned daily computed ET value difference in percent..
Wunderground Gage #1: KCAINDIO5, computation time step=5 minute, parameters temp, humidity, wind speed, NO SOLAR. CIMIS Gage: 200 Indio II, CA, computation time step=hourly, parameters temp, humidity, wind speed, solar. Wunderground Gage #2: KCAPALMD17, computation time step=15 minute, parameters temp, humidity, wind speed, NO SOLAR. 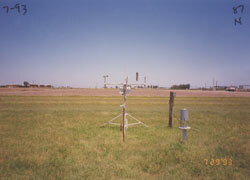 The CIMIS gage is located 4.0 miles west of Wuderground #1 and 3.2 miles east of gage #2. The daily graph comparison below includes in the title MAE, mean absolute error, which is the average of each of the unsigned daily computed ET value difference in percent. Wunderground Gage: MCBRA3, computation time step=15 minute, parameters temp, humidity, wind speed, NO SOLAR. CIMIS Gage: 175 Palo Verde II, CA, computation time step=hourly, parameters temp, humidity, wind speed, solar. The CIMIS gage is located 6.3 miles north of the Wuderground gage. Wunderground Gage: KAZYUMA11, computation time step=5 minute, parameters temp, humidity, wind speed, NO SOLAR. CIMIS Gage: 186 San Louis, Mexico, computation time step=hourly, parameters temp, humidity, wind speed, solar. Wunderground Gage: KAZYUMA16, computation time step=5 minute, parameters temp, humidity, wind speed, NO SOLAR. The CIMIS gage is located 18.0 miles south of the Wuderground gage #1 and 16.7 south of #2. Wunderground Gage: KAZWELLT4, computation time step=5 minute, parameters temp, humidity, wind speed, NO SOLAR. CIMIS Gage: 201 Andrade, Mexico, computation time step=hourly, parameters temp, humidity, wind speed, solar. The CIMIS gage is located 58.2 miles west of the Wuderground gage. Wunderground Gage: MTS917, computation time step=5 minute, parameters temp, humidity, wind speed, NO SOLAR. 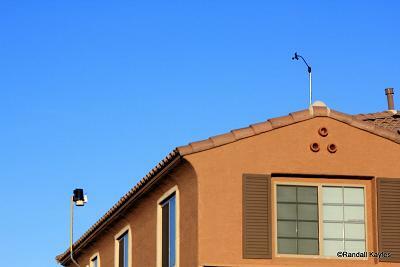 CIMIS Gage: 135 Blythe NE, CA, computation time step=hourly, parameters temp, humidity, wind speed, solar. The CIMIS gage is located 43.9 miles south of the Wuderground gage. As an example for setting up GetMyRealtime for another part of the world, a Wundergage was selected in the southern hemisphere and before Zulu Universal Time at Greenwich, England. Wunderground Gage: INAMIBIA2, computation time step=5 minute, parameters temp, humidity, wind speed, and with and with out solar for comparison. Note that the local standard meridian is +15 and that the latitude is negative while the longitude is positive, all the reverse of gages in the USA. The seasons are also reversed so that ET will decrease during the summer... err our winter... and this station is higher in elevation than Denver, CO but still pretty arid. Not sure what to make of 42" rainfall for Jan-May, 2011. This is a WunderGage after all. Looks like the return of the Boojum. And use the 'state' code AZ in the rsite table to turn off northern daylight savings. The comparison for June1 to Nov 1 looks great so far but the rainy season is at hand with 20 inches of rain typical for the next 5 months and doubt is beginning to cloud the graph. Geez I hope this works out. As long as weather data is being collected at the above Wunderground gages I thought I would see how the NEXRAD radar N0R (N0Q after Nov 2011) computed rainfall would compare at the 6 gages. Also the irrigated area of the 6 ag districts were palimetered using my GetMapArea.exee program and the needed radar boundary files were created for computing district wide average areal rainfall from the real-time radar images. These district wide or canal supplying areal radar rainfall data can be used in real-time by the farmer or district to adjust water orders and save a few bucks. The NEXRAD radar site is YUX south of Yuma, AZ at elevation 250 ft. Rainfall is computed from the 5-minute N0R images using the standard WRD-88D convective Z-R relationship using GetRealtime.exe. For additional information on NEXRAD radar rainfall using GetRealtime.exe go here. Wunderground Gage: KIPL, radar distance=58.7 miles, scan elev=4840 ft.
IID repoted irrigated area=1,600 sqmi., rainfall mapped area=3,022 radar pixels or 834 sqmi. Wunderground Gage: KCAINDIO5, radar distance=128.2 miles, scan elev=15,400 ft.
CVWD reported irrigated area=109 sqmi., rainfall mapped area=694 radar pixels or 182 sqmi. Wunderground Gage: MCBRA3, radar distance=55.5 miles, scan elev=4,520 ft.
PVID reported irrigated area=163 sqmi., rainfall mapped area=661 radar pixels or 170 sqmi. Wunderground Gage: KAZYUMA11, radar distance=14.8 miles, scan elev=1,050 ft.
Yuma Area reported irrigated area=93 sqmi., rainfall mapped area=523 radar pixels or 125 sqmi. Wunderground Gage: KAZWELLT4, radar distance=37.5 miles, scan elev=2,780 ft.
WMID reported irrigated area=91 sqmi., rainfall mapped area=530 radar pixels or 127 sqmi. Wunderground Gage: MTS917, radar distance=114.1 miles, scan elev=12,730 ft.
CRIT reported irrigated area=164 sqmi., rainfall mapped area= 569 radar pixels or 150 sqmi. Copyright 2009 Carson, Reproduction permitted with attribution.